Prof. Dr. rer. pol. 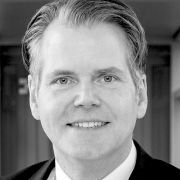 Bernd Eggers has had an impressive career, more than 20 years teaching experience at different universities, as a consultant at McKinsey, Human Resource Director at Bertelsmann, founder and managing partner aswell as trainer and coach of EGGERS & PARTNER Management Consultants. Since 2010, Bernd Eggers has been the Faculty Director for the Integrated Management & Sales Management department at the Steinbeis University Berlin. In addition to General Management, Bernd Egger's research focuses on innovative sales management concepts, for example value-based selling. His teaching emphasizes on the close link between theory and practice. Therefore he finds his work with students inspiring and greatly rewarding.